We absolutely love sand art! Not only is the final product beautiful, the dumping and color layering can be quite therapeutic! 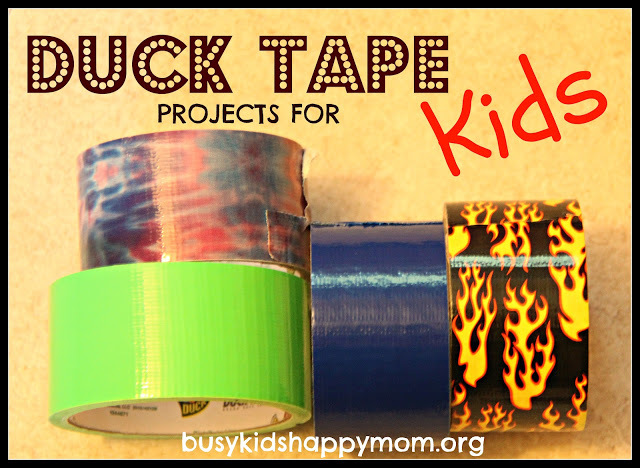 And this method is Kid Proof! We also added GLITTER to some of our creations to make Glitter Sand Art. How to make your own colored sand. 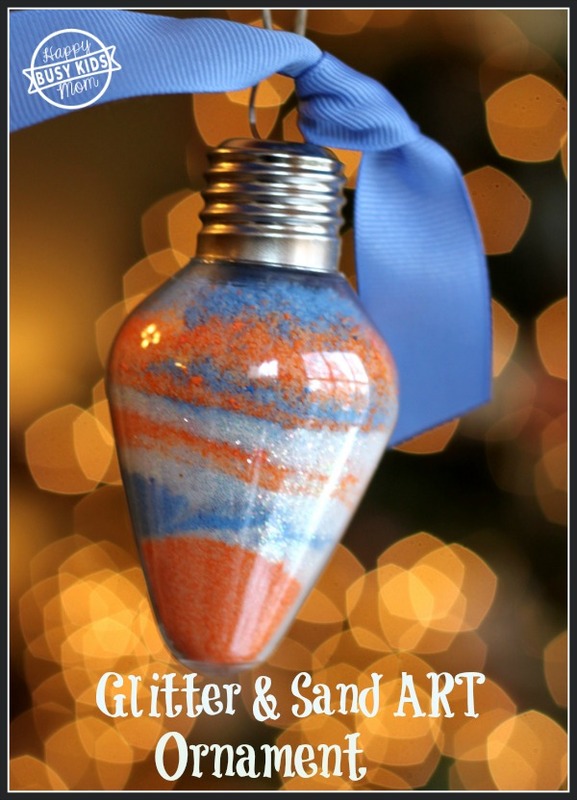 How to create layers in sand art bottles. 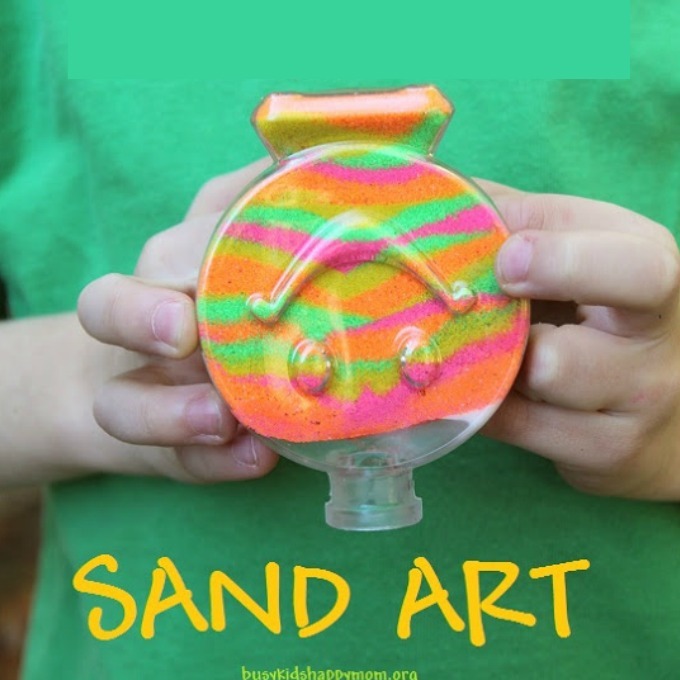 Where to buy sand art kits and sand art supplies for kids. 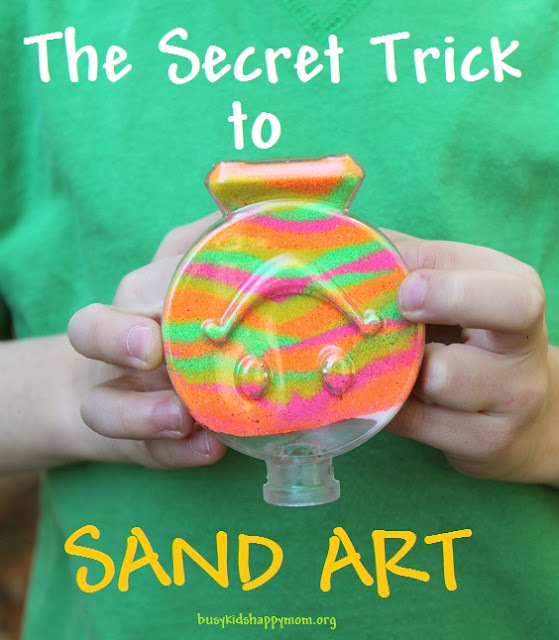 Plus, our SECRET TRICK TO SAND ART. Two simple ingredients are needed… Salt and Chalk*. *I tried sidewalk chalk and it didn’t work very well. Instead I ended up using some chalk left over from my stamping and card making days. That worked better! An Artist chalk is available from Amazon here. Grind up the salt and chalk together. Now you have your own colored sand to use for all your sand art projects. Note: If you look closely you can see that there are little bits of stuff in the sand. That’s the chalk that wasn’t ground up completely. It doesn’t hurt anything, but it can streak the inside of your container making it look a little cloudy. Have you ever wondered how to make those lovely layers in your sand bottle? 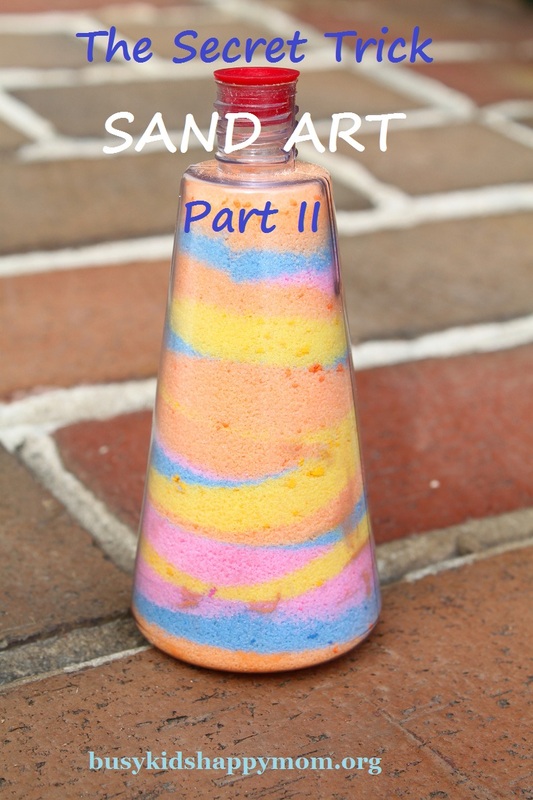 First, spoon or use a funnel to put each layer of colored sand into the clear bottle. Gently tap the bottle to level the sand. Continue to add different colored layers. Gently slide a pencil, chopstick, or skewer down the side of the bottle through the layers of sand and then slowly pull it out. If you go too fast, you will find the colors will mix. The sand layers gradually overlap making the cool waves! So how do you keep the sand in place? Well, we are going to let you in on our SECRET Sand Art trick. Ready to find out how we did the above picture without the sand coming out? 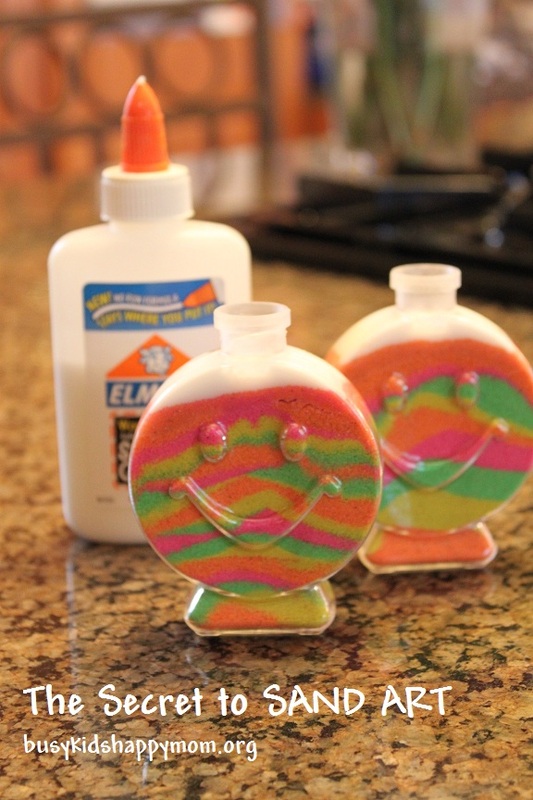 When your sand art creation is done, just add some regular Elmer’s School Glue to the top. Let it air dry or put the top back on and let it dry. Done! No more sand art spilled creations! Would this work with glitter too? I’m making Autism necklaces in little glass bottles and dropped one and the glitter got all messed up. 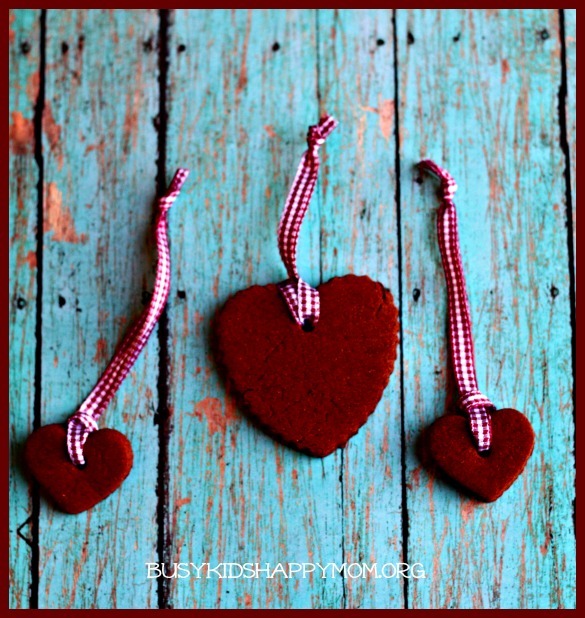 I like the idea of food coloring even better then what I used – chalk! Where do I find the cute containers? Looks like such a fun craft. Nana – thanks for stopping by! Craft stores usually sell colored sand. Usually the little containers are sold right next to them. Hope you find them! This is such a brilliant solution! I can’t tell you how many times the kids have worked to make a colorful layered creation, only to have all the colors muddled within minutes. I’ve pinned it to spread the word. It’s really cool. My niece got a sand art set for her birthday and we spent an entire Sunday morning creating some wonderful pieces. The best part about sand art, according to me, is that you don’t have to be really creative or skillful to create something amazing. Abby recently posted…Best Rated toys for 3 year old girls in the year 2018!